Blizzcon 2018 kicked off in full force a few hours ago with several announcements that cover many high-profile titles like World of Warcraft, Overwatch, Diablo, Warcraft, and Destiny. 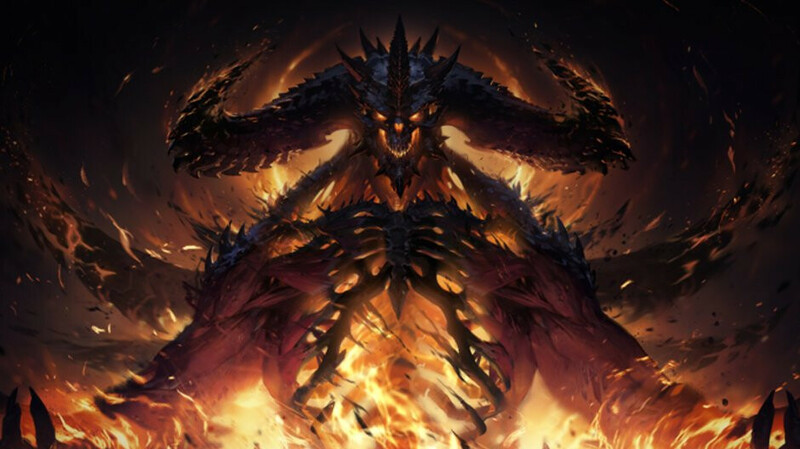 Despite the fact that many fans expected Blizzard to announce PC-related Diablo project (new game or remaster), the U.S. company unveiled a mobile game – Diablo Immortal. Diablo Immortal doesn't have a release date yet, but we do know that it will be launched on Android and iOS. As a matter of fact, Android users can now pre-register via Google Play Store to receive special rewards and be among the first to experience Diablo Immortal. Also, those who pre-register will be eligible to participate in future beta tests and earn in-game rewards. If you're a Diablo fan, you'll want to know that the story of Diablo Immortal is set between the events of Diablo II: Lords of Destruction and Diablo III. Soon after the Archangel Tyrael shatters the Worldstone which was corrupted by Baal, mankind is left to deal with the aftermath of his actions. Apparently, fragments of the corrupted Worldstone have tainted the land, alluring ancient evils who are now looking for ways to harness the power of the stone and enslave humanity. Diablo Immortal is an MMOARPG (massively multiplayer online action RPG), which means that you'll be meeting other players as you wander the game's world. You can even join them to take on dangerous dungeons. You can play as one of the six iconic character classes – Barbarian, Crusader, Demon Hunter, Monk, Necromancer, and Wizard, each with its own unique powers and abilities. According to Blizzard, more playable classes will be added in future updates. As far as controls go, Blizzard claims that “the transition from mouse-and-keyboard or controller to mobile touchscreen device was designed to feel completely natural, intuitive and fun.” Also, expect tons of loot and legendaries to gear up your character. No king rules forever, my son. Somehow I feel they'll ruin it with IAP items.. What about sell it for (let's say) $14.99 with no IAP. Even 29.99 I don't care.... Just NO IAP... Plz!!! Just when I started playing Ragnarok M. Great. It's great. Better than the PC imo. Very excited for this game! As a Diablo fan it would've been better if this never existed. It's already obvious Netease just reskinned their microtransaction infested, cookie cutter games. Multi-billion dollar game company. And the best they can do is a HD port of War Craft and this trash. Well done to all the sheep and clowns who continue supporting this F-tier company. That’s not the point. They got Diablo fans hyped that they’ll announce new content for the PC but instead the only thing they announce is a re-skin of an existing mobile game designed for the Asian market. PC gamers paid money to watch this announcement of a game they’ll probably never play. No they didn't! All they said was that they would be announcing Diablo related content, they never mentioned PC (or console) and fans just assumed. Their fans already enraged right now (check reddit and blizzard forum). Especially when they found out that this is reskinned chinese MMORPG. Probably not actually reskinnged, but it's true that they outsource chinese game maker. "Is this an out of season April fools joke?" Can't wait to see how they s**t this up. Actually they're already done so by teaming up with Netease to reskin their Diablo ripoff. What's sad is that most major gaming publishers have s**tted up the mobile gaming market by offering us more of the same bulls**t we already see from smaller gaming studios that only do mobile games. Square Enix and Nintendo are the only ones that have it relatively right so far. I'll gladly pay $10-30 for a game that is much closer to an actual represnetation of what its supposed to be than have a free, micro-transaction infested, piece of s**t game with mechanics that are made for 2 year olds. can i unlock those *** words with gems? I love the reskin rumor everyone is spouting as absolute fact with no proof. "Don't you guys have phones ??"